Accountable care organizations in the Medicare Shared Savings Program claim they may lose out on some of their bonuses after the CMS made unexpected changes to a smoking cessation measure. Medicare ACOs were recently surprised to see during 2018 quality reporting for the CMS program that substantial changes had been made to ACO-17, a preventive measure used to screen patients for tobacco use and provide a cessation intervention for those who smoke. The change caused some ACOs to see a 30% or greater drop in their performance scores on the measure compared to 2017, potentially impacting their ability to receive shared savings, according to a letter the National Association of ACOs sent to the CMS earlier this week. In addition to the possibility of lost bonuses, ACOs were particularly upset about the fact that they didn't know about the changes. "The CMS has recently been in the spirit of we want to make the quality reporting not as burdensome and we want folks to buy into the move to value, which we agree completely, but it kind of undermines that if they are not transparent with what can be pretty dramatic changes that ultimately affect payment and penalties," said Dr. Robert Fields, chief medical officer of population health at Mount Sinai Health System in New York, which currently has three ACOs in the program. The National Association of ACOs aired a similar complaint recently to the CMS, urging for better transparency in the Center for Medicare and Medicaid Innovation models. The measure changed from including all patients getting screened regardless of tobacco use to just patients who screen positive for smoking. Additionally, ACOs now only comply with the measure if the cessation intervention occurs each time the patient is screened, but providers argue that's redundant and unnecessary. Previously, providers could comply if the intervention happened within 24 months of the screening. Fields said patients sometimes come in to see their doctors every few weeks or months. 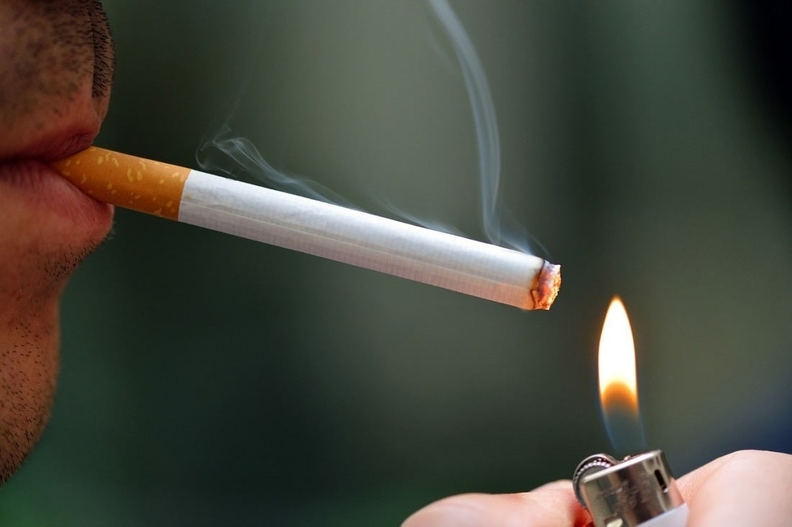 Although screening for smoking usually occurs each time a patient visits, providers don't offer the cessation intervention if they already did recently. "There is an element of practicality there for patients who come in within a short amount of time," Fields said. Mount Sinai saw a 12% reduction in their score for the measure compared to 2017. In the letter, the National Association of ACOs urged the CMS to make the measure pay-for-reporting for two performance years instead of pay-for-performance given the significant changes. A CMS spokesman said in a statement that the agency received the letter from NAACOs and is currently reviewing it. "We will continue to monitor and assess the data received through the CMS web interface," he added. The CMS will usually only make measures pay-for-reporting for two years if they are new, but they have done it for old measures that underwent substantial changes. For instance, the agency recently did this for ACO-11, an electronic health record use measure. "That is how the CMS has traditionally handled measure changes," said Megan Reyna, vice president of government and value based programs at Advocate Physician Partners, a Medicare ACO. "It helps ACOs get used to the measure and make sure we have the education and just all the systems in place for people to be able to perform and comply with the measure change." Reyna declined to provide how Advocate Physician Partners' performance on the measure was impacted by the change. Performance on quality measures is one way the CMS determines bonuses and losses ACOs receive. In 2018, there were 31 quality measures for the program. ACOs earn quality points based on their performance for each measure. The CMS sets national benchmarks to determine an ACO's quality score and final sharing rate. Fields said the changes to ACO-17 likely won't be "catastrophic" for ACOs considering it's just one of many measures they have to report but it might have an impact considering the difference in performance on the measures "is shrinking" as ACOs focus on improving. At the same time, the importance of stability with the measures is also only increasing as the CMS requires ACOs to take on more risk, he said. "We are about to embark on a program that is a guided path towards risk ... I think that requires a level of transparency and fairness," he said.